Many warungs, or small family-owned shops, crowd the streets of Denpasar, Bali but one is sure to catch your attention. 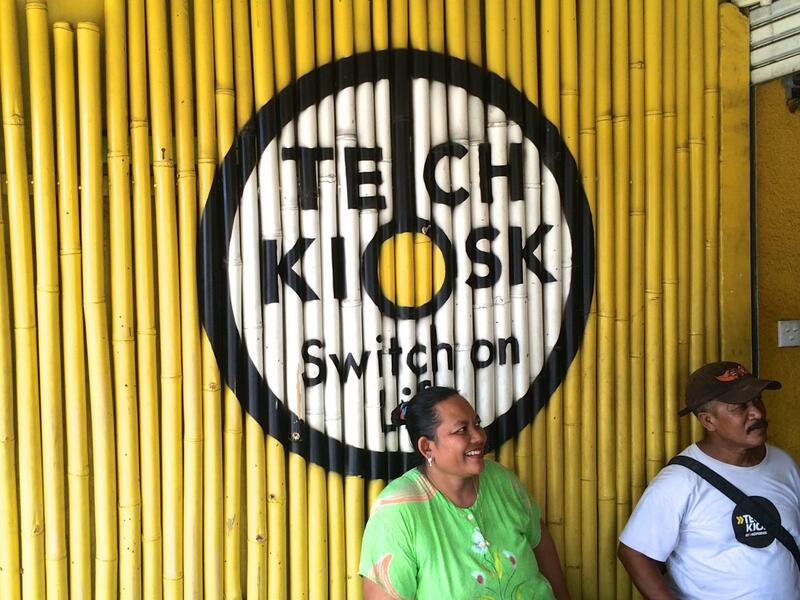 The bright yellow bamboo sign at Warung Bu Sinta reads, “Switch on Life” and the owner, Sumarti, waits outside, ready to explain what her “Tech Kiosk” warung is all about. Sumarti’s warung is part of a network of “Tech Kiosks” whose owners use Kiva loans to purchase products from Kopernik, one of Kiva’s field partners. Kopernik connects these retailers to simple, life changing technologies, designed to address the needs of many rural communities in Indonesia. 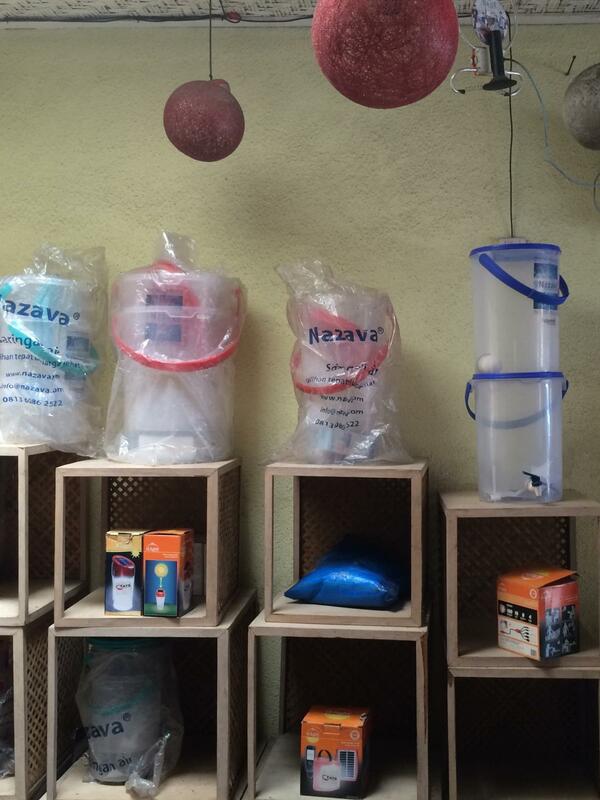 After graduating from Kopernik’s Tech Kiosk business training course, retailers, like Sumarti, stock up on products from water filters to solar lamps and head out into their communities, ready to make their first sales pitch. I met Sumarti on a hot, muggy day in December. She invited me into the shade of her small store, stocked from floor to ceiling with bamboo display boxes for technologies. 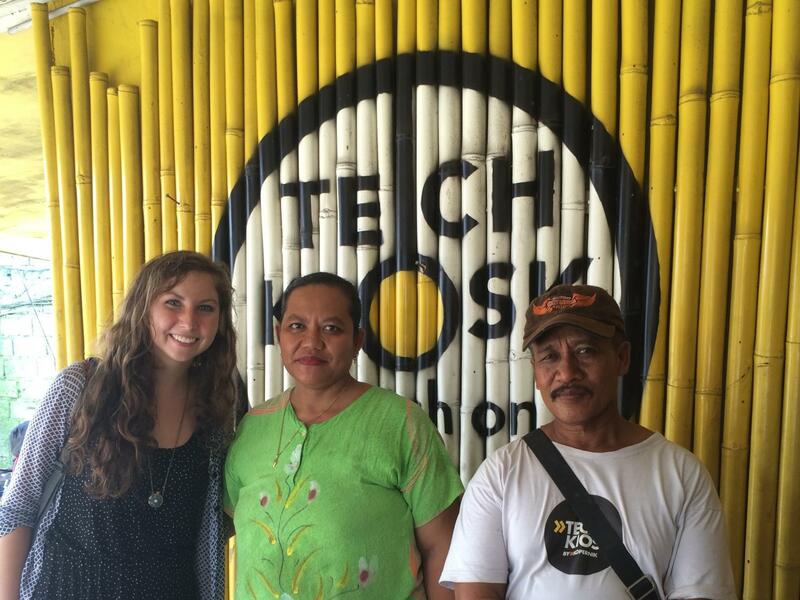 Sumarti explained that she had joined Kopernik’s Tech Kiosk network with a specific goal in mind – to ensure that she and her husband would have enough money to support all four of their children through high school. Although Sumarti was only able to attend school through sixth grade, she stressed the importance of education and has been saving all of the profits earned from selling green technologies for her children’s school costs. 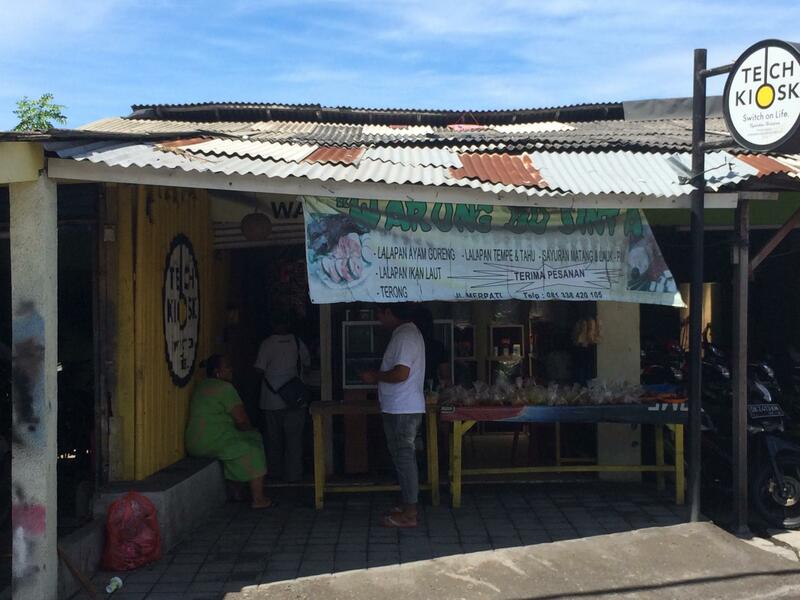 She even named her store Warung Bu Sinta after her daughter, Sinta. Sumarti’s Tech Kiosk business has been providing a steady stream of additional income for her family for two years and I got the opportunity to ask her about how she has managed to successfully create a new market for green technologies in her community. Her answers exemplified the creativity and determination that has fueled Sumarti’s business strategy. I was so impressed with her business acumen that I thought I would share her tips here! So, how did Sumarti, a small shopkeeper in Indonesia, create a new market for solar lamps and water filters in her community? Not only is Sumarti’s sign painted bright yellow but her whole store glows with solar power. From the colorful paper lanterns hanging from the ceiling to the cell phone charger, almost everything in Sumarti’s store runs off of solar power. Customers who stop by to buy a small snack from Sumarti’s food selection are drawn in to try out the solar cell phone charger or see how her solar lamps work. During a conversation with her husband, a construction worker, Sumarti realized that solar lighting could be a useful tool at construction sites without electricity. Sumarti’s husband started providing solar power to allow employees to work a few hours at night, rather than in the midday heat. The solution allowed them to be more productive and save hours of exposure to the harsh afternoon sun. Pretty soon, he found himself explaining the benefits of solar lights at construction sites all around the area. Sumarti’s husband has become one of her biggest supporters but he is not the only other family member involved in the business. Sumarti has used her business as a way to teach her children business and marketing skills. Her four children help to promote the green technologies and her daughter, Sinta, is gaining hands on accounting experience (her area of study at the vocational high school) by managing the shop’s bookkeeping. Sumarti’s daughter even surprised her by attracting a few customers after posting information about the Tech Kiosk on social media! Sumarti is just one of many Tech Kiosk owners throughout Indonesia who are working to connect simple, life-changing technologies with the people who need them most. 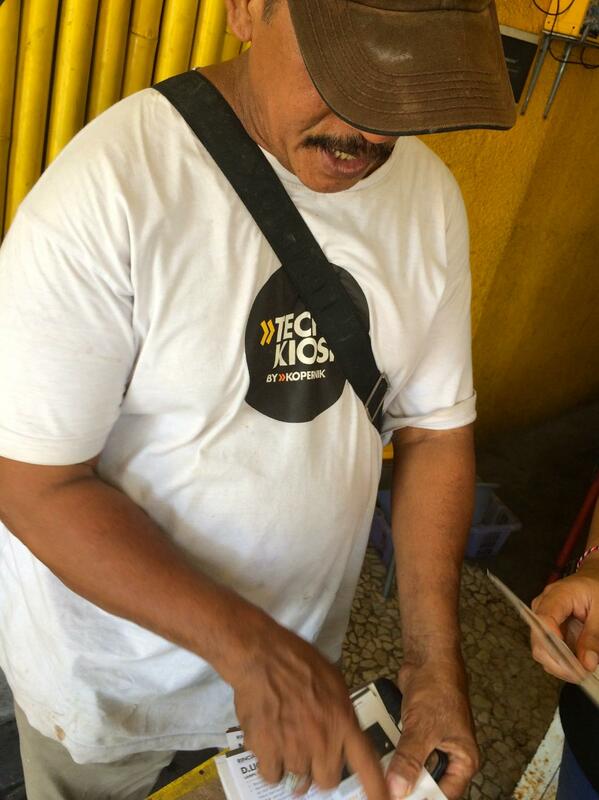 Next time you’re making a loan on Kiva, consider supporting one of Kopernik’s Tech Kiosk entrepreneurs who are serving as both change agents and savvy business leaders in their communities! 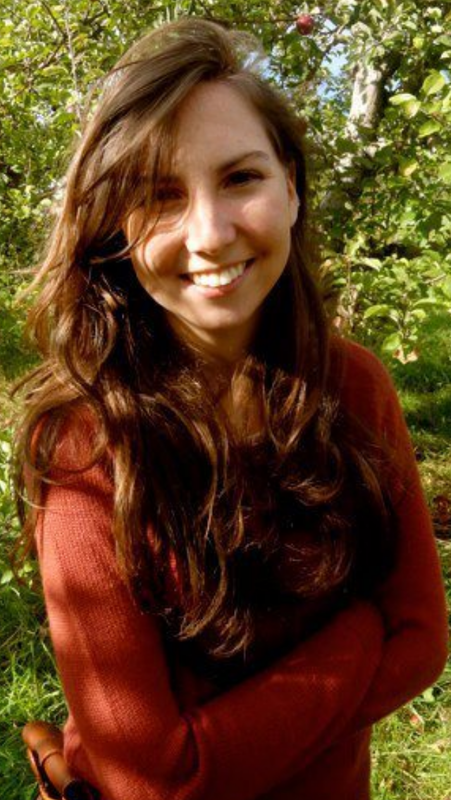 Caroline grew up outside Boston and first discovered her love of travel during college when she set off on a backpacking trip to Central America. Since then, she has spent time abroad volunteering with start-up entrepreneurs in Guatemala and teaching computer skills to children in Ghana. Through these experiences, Caroline cultivated an interest in international development and a belief in the power of small businesses to impact local communities. After graduating from UMass Amherst with a degree in Management and Economics, Caroline began work in PricewaterhouseCooper’s Risk Assurance practice, delivering assurance services to financial services clients in the Boston area. During her time at PwC, Caroline did a rotation in PwC’s Corporate Responsibility department to expand the firm’s Corporate Responsibility initiatives which included teaching financial literacy in schools throughout the greater Boston area. Caroline is excited to apply her knowledge of financial services while assisting Kiva’s Field Partners in Indonesia and East Timor!